As technology becomes ever more erudite and employees demand more work-life balance, many companies are implementing remote working policies. However, even though it might seem like your local Pret or Costa is packed with people tapping away on their laptops, still 35% of businesses do not offer the option of working from home. 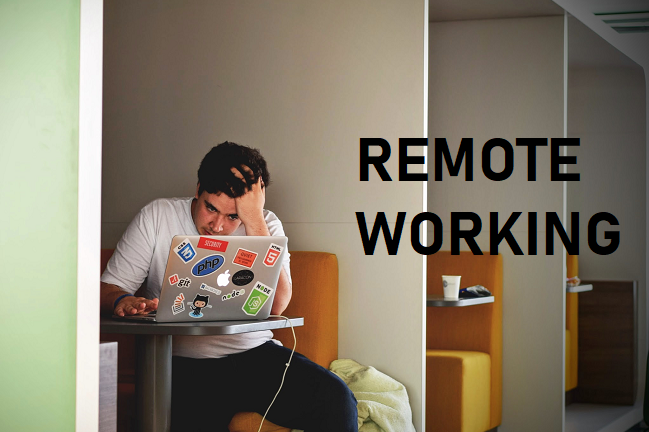 One in four people who are not currently offered remote working choices said they would consider changing jobs if they found a role which offered working from home, so if you are one of the 35% you may want to look into it. Working from home has become more popular than ever while people try and redress the work-life balance. So here are a few guidelines on how to best to work from home, whilst being productive and getting the most out of your day. Make a to-do list to keep yourself accountable. Being organised is crucial if you’re to avoid spending the day wandering around the house or surfing the internet! Be firm with friends who have time on their hands and who may overlook the fact that just because you’re working from home, it doesn’t mean you can take a break anytime you like. Invest in a comfortable office chair so you don’t have an excuse to keep getting up to stretch your legs. This is important for your physical health too. If you have the resources, create an office space that you genuinely enjoy spending time in – and banish clutter! If you want to separate home from the office and prefer to work from a coffee shop make sure the documents you need are accessible by storing them in the cloud e.g. in Google Drive or Dropbox, but please be mindful of your surroundings if you are working on something of a sensitive nature! Define your working hours if your job allows for it and if you prefer starting and finishing work earlier or later do so, but stick to a schedule. Lastly, it’s good to be mindful that if you work remotely, you won’t be as visible. Make sure that your colleagues realise you are still part of the team, so make sure you check in with the office a couple of times a day, even scheduling meetings via Skype or conference call avoiding lowering your profile in the workplace.